Dog Rules: Dogs allowed outside if on-leash. There are two tables with umbrellas outside the restaurant. 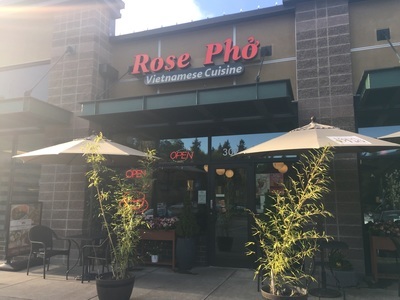 Description: This is a great restaurant, with something for everyone. 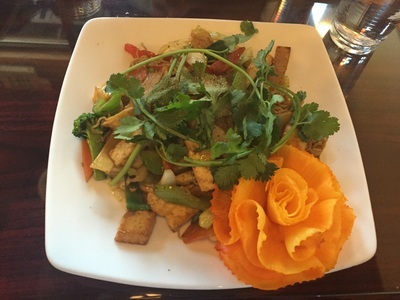 They have flavorful meat and vegetarian dishes, beautifully presented and at a great price for the portions. The staff is very friendly and food is prepared quickly. 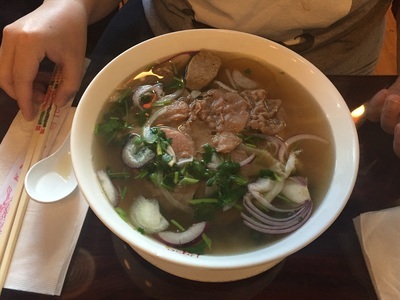 They serve traditional Vietnamese food as well as simpler dishes for those who are not adventurous eaters. Dogs are welcome outside where there ar etwo tables covered with umbrellas. The restaurant has a happy hour weekdays from 3-5PM.